Edelkrone is the manufacturer of professional camera sliders, heads and dollies. They’ve been around for awhile and are prominent in the world of pro videography. They even snagged an important award at the NAB Show (National Association of Broadcasters) back in 2014. Not to be confused with Elinchrom, the maker of world-class studio lighting equipment and accessories, Edelkrone offers more than a dozen well made, highly useful gadgets that support, move, control and otherwise hold cameras—still and video. Some of their designs are truly unique. One look at any of their products and you immediately know what it’s used for—and you wonder how you ever got along without it. Edelkrone recently loaned us two of their products which we detail below. As an overarching statement, I must say that the build quality is overwhelmingly impressive. If you’re in search of a tripod gizmo that will survive Armageddon, you’ve some to the right place. Although crafted of aluminum and other weight-saving materials, it’s clear that Edelkrone went to great lengths to produce accessories of lasting quality. Both of the items we review here are 100% CNC (Computer Numerical Control) machined for consistent dimensional stability. Even the packaging speaks of high quality. If you’re planning to give an Edelkrone accessory as a gift, all you need is a bow for the fancy box. The FlexTILT is a camera support that somewhat resembles a scissor jack combined with a large, square tripod head. The platform with a camera attached can be raised and tilted on two axes and stays in place by friction. It’s easy to use and secures without knobs or levers. Rated for cameras weighing up to about five pounds (2.2 kg) the FlexTILT Head 2 can be fastened to tripod legs, a tripod head, or to a Platypod and raises a camera a generous six inches. Featuring a built-in spirit level, this accessory has a 3/8-inch hole for tripod connection and includes a 1/4-inch adapter. It can also be set alone on a flat surface, but if you do so, be very mindful of the center of balance, otherwise the camera could tip forward (or backwards) possibly causing damage. In the field I found the FlexTILT fun and easy to use. Although pricy, it’s a very handy accessory. I am admittedly a little concerned about the longevity of any product that relies on friction to operate smoothly. During the short time I used the product, all went well, but the potential for failure still nagged at me. Then I remembered Edelkrone’s lifetime warranty and 90-day hassle-free, money-back return policy. They are willing to stand behind their products—forever. Priced at $150, the Edelkrone FlexTILT Head 2 is available from B&H or directly from Edelkrone. If you frequently reposition your camera or video rig from one support to another, then this is the accessory for you. It’s a quick release adapter that uses a cam-type action to seize hold of the tripod screw or other similar threaded attachment post. So if you indulge in several of Edelkrone’s support accessories and move your setup from one to the other often, buy this piece. Easy to use—just connect the Quick Release ONE to the bottom of your camera in the conventional way (i.e., via the 1/4-inch tripod hole on the bottom). Then use the Quick Release ONE to grab the 1/4-inch screw on any tripod head or quick release plate. No need to remove the plate from the tripod ever, which is a big plus in my book because I often manage to misplace the plate when I need it most. Like the Edelkrone FlexTILT Head 2, the Quick Release ONE is made of aluminum and stainless steel and is 100% CNC machined. My evaluation satisfied me that the product works as advertised. My only objection is that it adds a standoff distance above the tripod head and to me that felt less secure—although I’m sure that it’s just as strong in reality. It’s pricy also, but it’s engineered to last a lifetime or longer. 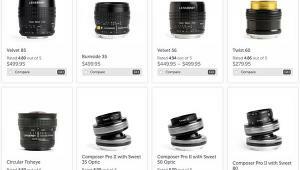 You can buy the Edelkrone Quick Release ONE from your favorite camera store, including B&H (same link as above) or you can order it directly from Edelkrone’s website. Cost is $120.